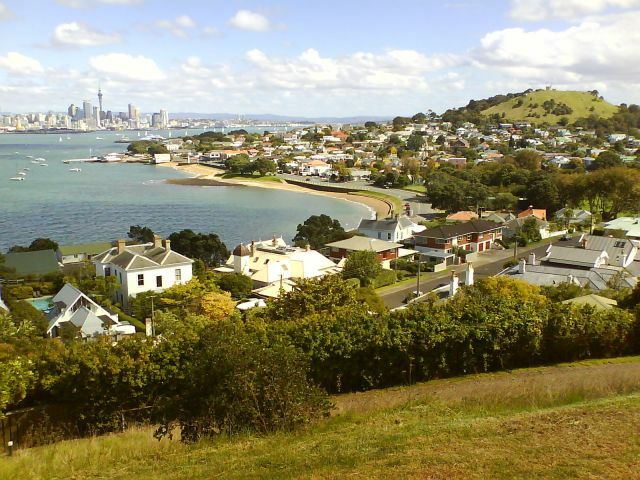 Esato Forums - Network operators : Asia Pacific : Visiting New Zealand and bringing your Mobile? All you need to know. Network operators : Asia Pacific : Visiting New Zealand and bringing your Mobile? All you need to know. I hope you enjoy your stay in New Zealand (Aotearoa). You'll find the Esato New Zealanders thread here but it's a little quiet these days. The New Zealand dot com website is here. THIS PAGE HAS UNDERGONE A MAJOR UPDATE AS OF DECEMBER 2018!!!!!! New Zealand is a smallish country of approx 4.8 million people. We are famously out numbered by sheep by as many as 15:1 at times. Our country comprises of 2 main islands - the North Island and South Island - and 5 main cities: Auckland (a multicultural city where 1/3 of the NZ population live among 50+ extinct volcanoes), Hamilton (a large farming community), Wellington (the capital city and political centre), Christchurch (the Garden City with an English flavour) and Dunedin (popular with students and has a Scottish flavour). New Zealand has 3 Mobile Networks and a Mobile Virtual Network Operator (MVNO). Spark NZ is the current version of NZ's original telecommunications company, formerly Telecom NZ. New Zealanders had a love/hate relationship with Telecom over the years but everyone is generally positive towards Spark. Focused toward concerts and music streaming services. Also supplies home broadband and business services. Vodafone NZ is a subsidiary of the British Vodafone group. Continually the leader in innovation in the NZ telecoms market since arrival in 1997. Current sponsor of the NZ All Blacks and the Vodafone Warriors Rugby League team. Also supplies home broadband and business services. 2 Degrees Mobile is NZs third mobile network. Setup by a partnership of NZ and overseas businesses to rival the virtual monopoly of the big two above and bring real price competition to the market. In rural areas 2DM roams on Vodafone's network seamlessly. A low priced option with great customer service. Also supplies home broadband and some business services. Skinny Mobile is a MVNO, which is to say that it is a cut-price option for teenagers set up by Spark to rival 2 Degrees. All networks use SIM cards and have their own mobile app for iOS and Android to easily monitor usage & top up balances. You can setup roaming with your network back home and connect seamlessly. Or you can purchase a NZ sim card for your phone at the airport and join a NZ network. This is simple to do with no residency requirements or government bureaucracy. You can buy a mobile phone hassle free in NZ from a network store, from an authorised reseller like a department store or electronics retailer (such as The Warehouse, JB-Hifi, Noel Leemings or Harvey Norman) or parallel imported from one of many phone importers in the large cities (for price comparisons go to pricespy.co.nz). Genuine iPhones are available everywhere but note that some importers and all local community markets should be treated with suspicion. There are no brick and mortar Apple Stores in NZ. While iPhones are popular, most phones used here are running Android. Samsung are considered cool, Nokia is uncool, and Sony Xperia is largely in the 'what's that?' category. Smartphones are now universally accepted, with featurephones difficult to find. All schools and Hospitals have a fibre optic connection. Fibre has been rolled out to the large towns and is available to many businesses and residents though some still choose ADSL and VDSL connections. VDSL operates at approx. 55 Mbps download and 29 Mbps upload in Auckland. Unlimited data Home broadband plans are available and affordable and most people stream video from Netflix, Lightbox, Youtube, Google Play and iTunes as opposed to digital terrestrial TV, and DVD rental stores have gone. Unlimited free wifi is available at cafes, petrol stations, hotels and motels everywhere. Spark NZ has replaced the old pay phones with free wifi transmitters for Spark customers to use 1GB free per day. 4G reception is widely available in urban areas with 3G filling in elsewhere and 2.5G/EDGE in rural areas. Due to NZ's remote and mountainous terrain the are still black spots. Super fast 4.5G reception is available in 200 places around the country including Queenstown and 5G is on its way. NZ uses a 230V power supply which is quite different to the USA and Europe. If you're using a rental car then bring your cigarette-lighter charging cable with you. The NZ Government has passed legislation banning the use of handheld mobile phones while driving; this includes txting and calling while holding the phone, but not the use of installed carkits or Radio Telephones (RT's) for commercial purposes. The fine is NZD$80.00 and 20 demerit points are added to a drivers NZ license. Until mid 2018 Apple Inc had no physical presence in NZ and operated as a subsidiary of Apple Australia - as a result, Apple Maps is unreliable in New Zealand while Google Maps is superb. Public transport information is available within both GPS apps and is accurate and useful. We have Uber and also Lime scooters. Public transport in our major cities is not sufficient to cover all your travel needs; most people are dependant on owning a car. Petrol is expensive and forcing people into hybrid cars that kiwis consider uncool. Diesel cars are rare but diesel vans and utes (pickups) are common. Our weather is too unpredictable and extreme for regular use of motorbikes and bicycles. Electric car infrastructure is in it's infancy. Taxis are very expensive, especially to and from the airports. Trains are good in Wellington, good in the few parts of Auckland they reach and ignored elsewhere. Rail infrastructure is being improved after 20 yrs of neglect and 30yrs of mismanagement prior to that. New Zealand is a long way away from everywhere. Please plan to rest or sleep overnight in your arrival city before jumping into a rental car and driving on unfamiliar roads to your destination. Be aware, we drive on the LEFT side of the road like the UK, Japan and Australia. Be safe, enjoy your holiday! Many tourists in New Zealand (having travelled through other more dangerous places) let their guard down and get caught out. New Zealand is a politically stable and corruption-free society but we suffer the same level of crime as other western countries such as the US, Britain and Australia. It is possible to have everything stolen within 2hrs of arrival. Please apply common-sense when travelling, especially if hitchhiking, walking in the bush or mountains, or enjoying watersports. TradeMe is to NZ what eBay is overseas (we don't have a Craigslist equivalent). You can buy new and used goods, from clothing and childrens toys to vehicles and houses. Everyone uses TradeMe and virtually nothing else. Apps available for iOS and Android. Bank Accounts are easy to open in NZ so long as you have ID. The major banks are ASB Bank ANZ Bank Bank of New Zealand Kiwibank and Westpac. EFTPOS is everywhere and wireless payment is common but Apple Pay and Google Pay are still rare. Small shops often don't accept credit cards though restaurants and tourist spots always do. Travellers insurance and car insurance is optional but recommended. DO NOT BUY TICKETS FROM VIAGOGO IT'S A SCAM!!! Well, that's pretty much it! This thread was started on 5th August 2009 (the date that 2 Degrees Mobile launched in NZ) and things are constantly changing here as VodafoneNZ drives the technology race, 2 Degrees Mobile drives a price war and Telecom NZ (now Spark) just drives us nuts! I'll do my best to keep this post updated, but if you have any questions, please feel free to PM me as I'm not on this site as often as I used to be. Enjoy your visit to New Zealand! excellent post and very informative, especially as im considering applying for a working holiday visa through the bunac.org website to come to new zealand for a year. Good stuff mate. Might see you here then! Any reason why you chose New Zealand? @carkitter: Why is your post edited by Laffen? Because I added some information, pressed submit and found that 25% of the original post was missing. I'm glad you found this post informative. All feedback gratefully recieved. Updated with new Blackberry info, iPhone 4/iPad info and data speed increases from Vodafone. Updated with new 3G information and 3G prepay price comparison chart (Google Docs link), and a whole pile of images near the top. Updated with some data on RWC v Christchurch Eartquake situation.